This really is the perfect start to the school summer holidays. The whole thing kicks off at 6pm every night. 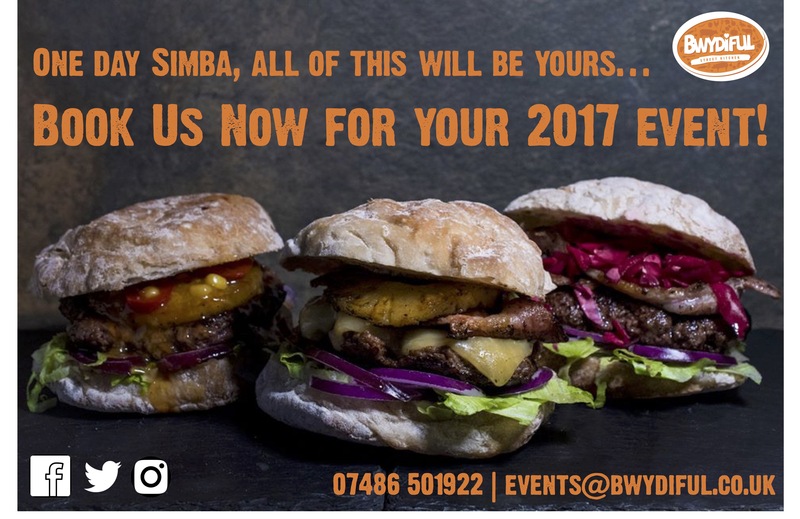 We will be serving up your favourite Bwydiful burgers every night… Just look for the bright orange trailer! We’ve been lucky enough to be a part of loads of great charity and family fun days over the last few weeks. These are always fab events and we love having a chance to meet so many great people. The Amelia Trust Farm in Barry, the Welsh Hearts May Day Carnival, the Fonmon Charity Dog Show and many others have all been great days out for us!